Two high-profile teams of analysts have weighed in on the speculation about what we can expect from this year's iPhone 8, iPhone 7S and iPhone 7S Plus - those companies who monitor supply chains and other secret sources to predict where the market will go next. According to JP Morgan (via 9to5Mac), the high-end iPhone 8 will feature an edge-to-edge display, a dual-lens camera on the rear, improved waterproofing, enhanced speakers around the front... and a free pair of AirPods. The firm also claims the lower-end iPhone 7S and iPhone 7S Plus models will be backed by glass rather than aluminum. This mostly ties in with rumors we've heard before, so we're starting to get a very clear picture of what the iPhone 8 will involve. 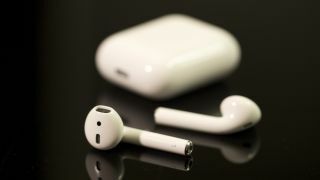 That said, JP Morgan doesn't have a perfect track record when it comes to Apple predictions, and the AirPods claim seems a bit of a stretch - especially with their high price and problems with supply. Elsewhere, CLSA (via MacRumors) signs up for the theory that Apple's going to put the Touch ID sensor on the back of the iPhone 8 because it can't work out how to embed it in the display on the front - an issue Samsung has also struggled with this year. Again, the provided schematics show a dual-lens rear camera. The rear Touch ID sensor is something we've heard about time and time again over the last few months, so it seems safe to assume that Apple is at least finding it tricky to work in a satisfactory sensor on the front, even if it manages to pull it off in time for September. As we've already alluded to, analyst firms have some well-connected sources, but don't always get everything right - consider these reports some extra speculation to assess rather than anything you can bet your house on. The iPhone 7S, iPhone 7S Plus, and iPhone 8 are expected to be announced in September, though there may be a delay on availability for the iPhone 8.